U.S Census Bureau reports, Fifty seven percent of students participate in at least one extracurricular activity throughout High School. Students at Valley Heights are getting into the groove from fall sports to club activities. Valley Heights Art Club members organized their 3rd annual Art Club BBQ as a kick off to a new school year. Last year the Art Club started the day by helping to clean an elderly lady's yard. Following the service, members went to sponsor Kaci. Smith's, mother's house where the BBQ would be held later that evening. 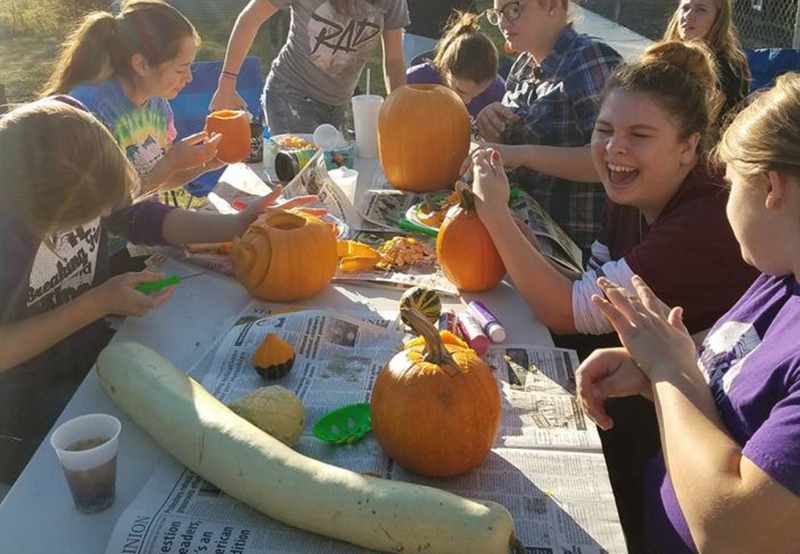 Members enjoyed carving pumpkins, messing with her alpacas and chickens, and playing yard games. They finished off the night with s'mores around the campfire. This year’s BBQ will be held on Sunday October 15th, Members are already starting to prepare. “It's my first year in Art Club and i'm really excited to go to the BBQ, I hope we all have a fun time” says Josh Whelan, Fr.